*Peippo Shop* is a Second life blog. Join us on our adventures in the virtual worlds. *Peippo* is the designer and owner of her own store on SL. She loves friendly, open minded people. 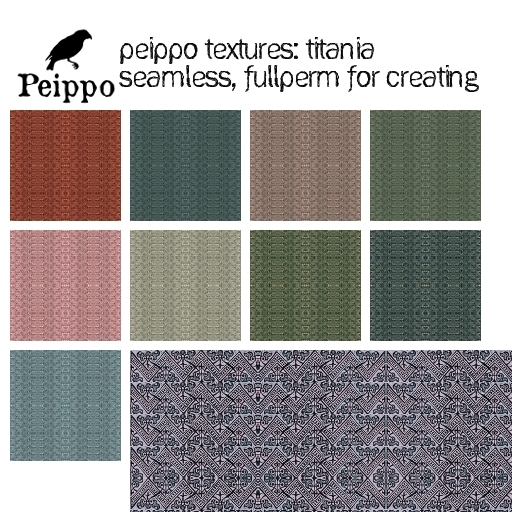 *Pieni* is our *Peippo for Tinies* brand manager and designer. She is a funtime loving tiny, who likes cake. - Love and Hate Hunt 12thJan. - 12th Feb.
- Femboy Hunt 15th Jan. - 15th Feb.
- Fantasy Hunt 21st Jan. - 21st Feb.
A g-rated LBGT group on SL.